Around 75,000 angioplasty or heart stent operations are performed each year in England alone, making it a very common procedure. It is also what doctors refer to as a “minimally invasive” form of treatment, meaning it requires no major incisions; so in the large majority of cases, recovery times are very short. Our article on getting travel insurance with medical conditions also highlights poviders such as Saga, Age UK and M&S that might be worth considering. These may be able to offer you cover if you are planning on travelling after having stents fitted or after angioplasty. Many people find themselves returning to an active and normal life – working, driving, undertaking moderate exercise – just 1 week after their stent operation. In fact, being active is encouraged as a step towards maintaining a healthy heart. So with these things in mind, there should be no reason for insurance companies to charge excessive premiums for travel insurance after angioplasty or stents. Sadly, however, most of them do. 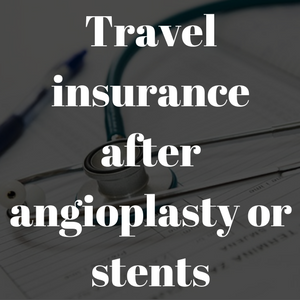 Why does travel insurance for people with stents or angioplasty cost more? If you have undergone an angioplasty procedure or had a heart stent fitted, this will be seen by an insurance company as a “pre-existing medical condition” - and it is something you absolutely must declare when applying for travel insurance. Whatever your age, and however fit you may feel, failure to declare any and all pre-existing medical conditions with your insurer could invalidate any claim you may have to make – which would probably leave you facing very expensive medical bills. 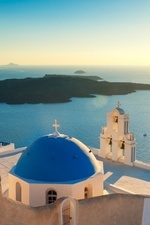 You can read more about this in our article on getting travel insurance with medical conditions. Having declared your condition, the travel insurer will then need to ask you a number of questions relating to your health and lifestyle, before they offer you a quote. For those with a heart stent, these will be questions such as “can you always walk 200 yards on level ground without becoming short of breath?” or “have you been advised to take medication for high blood pressure?”. Your answers to these questions will be used to calculate a score, with higher scores indicating greater risk and therefore a higher premium. Some people with angioplasty or a heart stent find that certain insurers refuse to offer them cover at all. The unfortunate (and, we believe, unfair) reason is that insurers anticipate that the likelihood of a claim being made by someone who already suffers from a medical issue is much higher than for a healthy person. Even if the medical condition in question is something from relatively long ago, and you have been living a healthy and active lifestyle for a good period of time since – it is almost certain you will face higher costs than you would have had the condition never been present. Join our travel insurance after angioplasty group to add your voice to those who want better cover. What costs are the insurance companies worried about? Emergency medical treatment and repatriation (returning people to their home country, usually by flying) are two of the most substantial costs that travel insurers face. The costs associated with both vary significantly, depending on the country you are in (or taken to) for treatment. If you have had stents fitted after a heart attack, or have recently undergone angioplasty, your insurer may think you are more likely to need emergency medical treatment. This is why premiums can be higher for those who have had stents fitted or have had angioplasty. For this reason, it is always advisable to tell your insurer exactly where you are going. If you only declare general, non-specific information such as “Europe”, your insurer will assume the highest potential cost within that region. Some regions are particularly expensive – not least the USA, Canada and the Caribbean. Holidays on Cruise Ships are also seen as having a very high potential cost, because their on-board medical teams are not usually equipped to deal with the more serious health problems, and so may have to airlift people to the nearest hospital.